A small archive of this artist’s work appeared in a Bonhams sale 7.12.09. 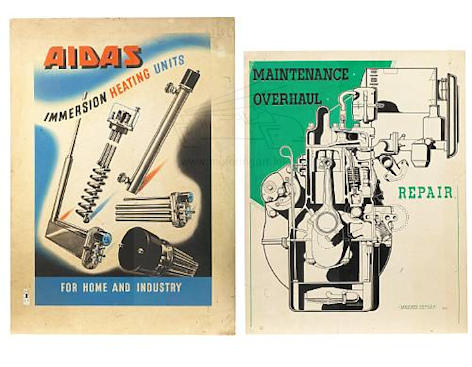 This was commercial artwork for Rolly-Royce, Castrol and Morris. Some of the art was signed, some initialed WHR, other unsigned. Various pen and ink, gouache and airbrush media. Artwork showing folding trailer. Image courtesy of Bonhams. 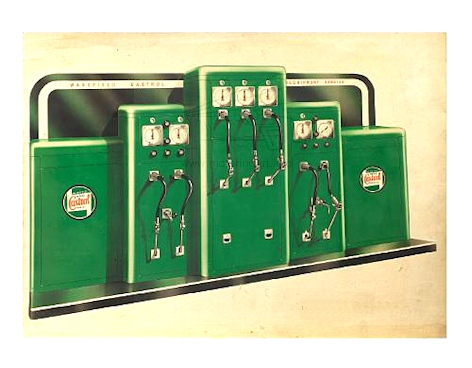 Castrol artwork. 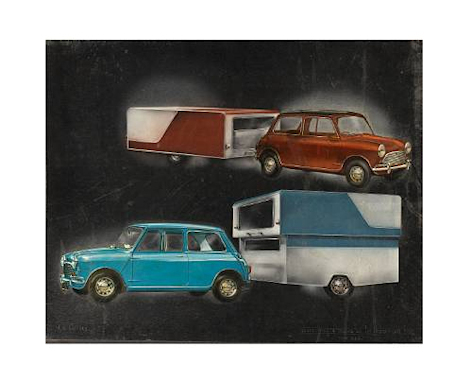 Image courtesy of Bonhams.